According to CompTIA’s IT Industry Outlook 2018; Analysis of the tech workforce begins with an important distinction. As depicted in the Venn diagram below, there are two components to the tech workforce. All workers employed by U.S. technology companies represent tech industry employment. In 2017, an estimated 6.1 million workers were employed in this category, an increase of 2.0% over 2016. For 2018, the growth outlook should roughly mirror the previous year. Tech industry employment includes technical positions, such as software developers or network administrators, as well as nontechnical positions, such as sales, marketing, and HR. The other component of the tech workforce consists of the technology professionals working outside of the tech industry. 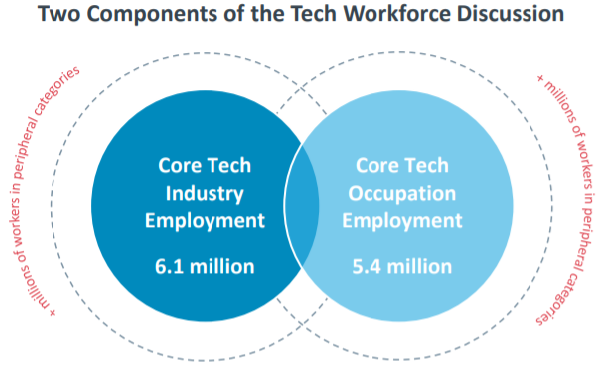 While the tech industry is the largest employer of technology professionals, with 44 percent of its workforce meeting these criteria, the majority of technology professionals work in other industry sectors, such as healthcare, finance, media, or government. Because technology now permeates every industry sector and an increasing number of job roles, the lines have blurred noticeably, making it more difficult to precisely quantify the tech workforce. The expanded spheres circling the Venn diagram is one way of thinking about the new segments’ workers that cannot be adequately accounted for due to limitations in government data sources. 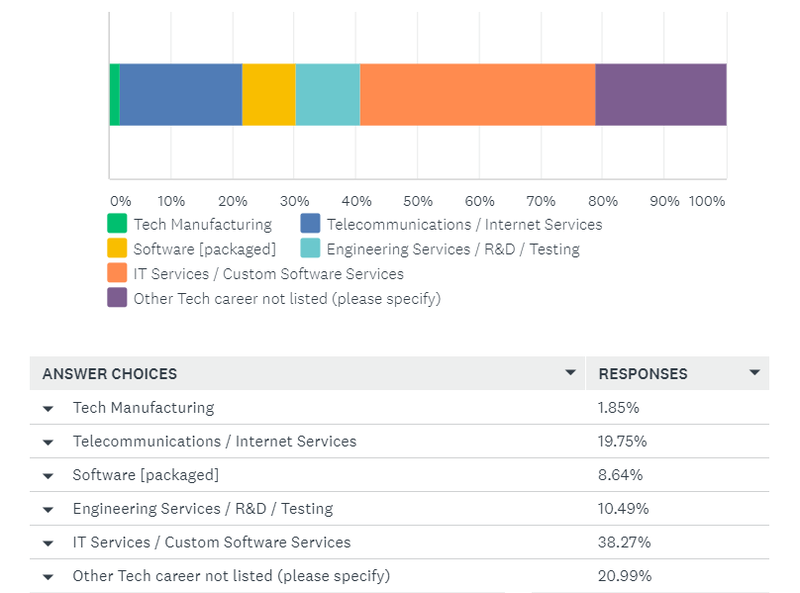 72% of those surveyed “Agree” that they are satisfied with their choice of a career in Tech. 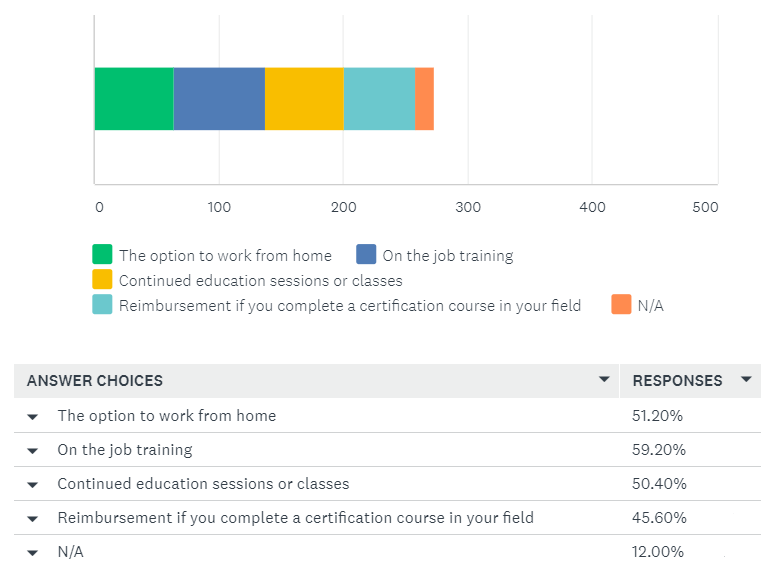 Employee benefits offered in the Tech industry: 51% of those surveyed indicated their employer offers the option to work from home. 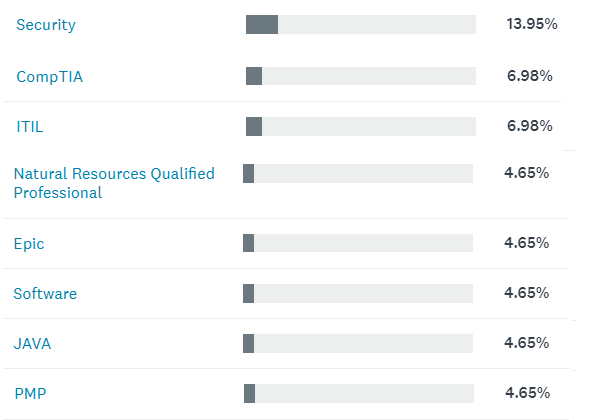 Certifications obtained in the Tech field: 53% of those surveyed report being certified in one of the following areas. This entry was posted on Wednesday, April 4th, 2018 at 2:23 pm. Both comments and pings are currently closed.